Use these photo Christmas cards to share your latest adventures or to show them how much the kids have grown over the last year. Delight your loved ones with a festive photo from last year or get the whole family involved in staging a Christmas jumper photo before the big day. 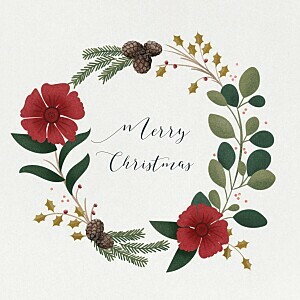 Once you have decided on your favourite photo, you can then make a start on finding the perfect design for your personalised Christmas cards. Choose a card that matches the orientation of your photo or based on how many photos you wish to share. 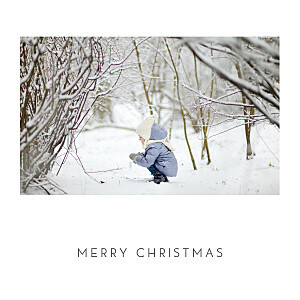 You can share up to nine photos on our photo Christmas cards so you are sure to be spoilt for choice! 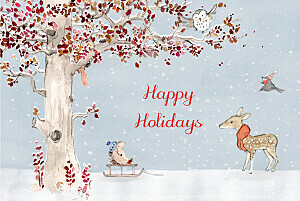 Our online editing tool makes it easy for you to create personalised Christmas cards within minutes. 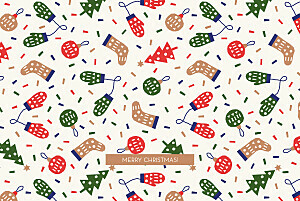 Replace our sample text with the wording of your choice and then go ahead and upload your favourite festive photo. 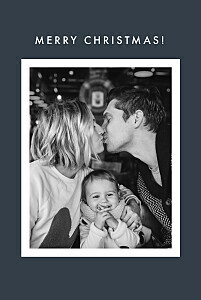 Try out different photos online by dragging and dropping into the photo fields, or order personalised samples to see your favourite snaps in print. 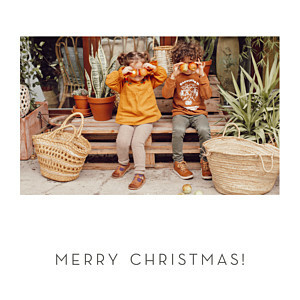 Our proofreaders will check all text added to your photo Christmas cards and will optimise the quality of your image for printing as part of our complimentary retouching service. Choose from our range of elegant finishing touches for your photo Christmas cards, with a range of paper types and coloured envelopes. 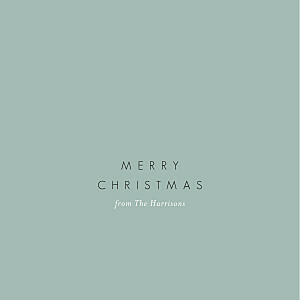 We are here every step of the way to help you create your personalised Christmas cards so do not hesitate to get in touch via email, phone or online chat.